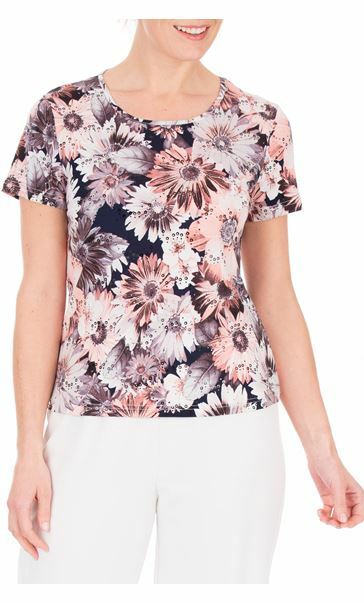 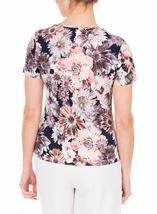 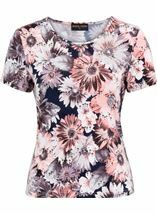 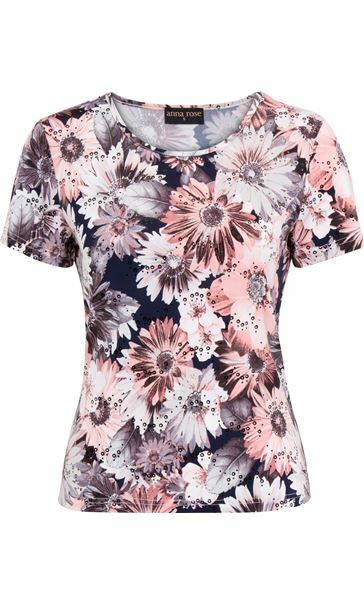 Your wardrobe needs some floral print and this Anna Rose top is perfect. 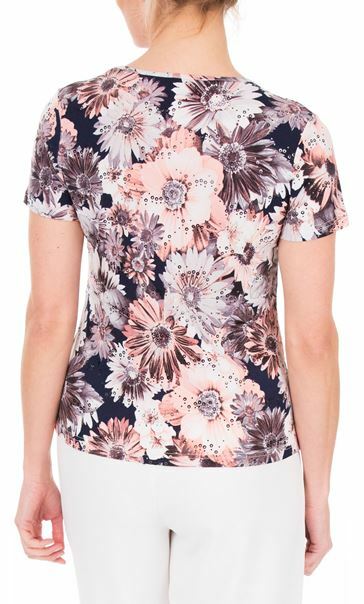 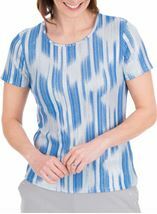 Designed in a soft stretch fabric with round neckline, short sleeves and finished with all over circle embellishment for that extra finishing touch. 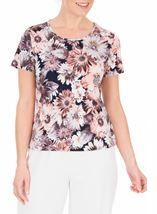 Back length 61cms.